Gabriella Gerardi is the Managing Director of The UK Lash Institute, the only Research and Development Lash school in the UK , where new lash techniques and ideas are invented, tested and brought to the lash industry, many of the systems we use today all over the lash world have been invented by Miranda, UK Lash Institute’s founder. She started her creative career in the luxury Fashion industry, studying Digital Marketing specialising in Luxury Fashion & Augmented Technology at Regents University in London. Graduating with a First Class Honours she took her expertise into Luxury Fashion Department store Browns Fashion. Winning the Retail Design Expo for VM, she landed an internship with Vera Wang Bridal. A prestigious and niche degree allowed her to travel the world and explore how luxury brands use both technology and marketing for business growth, with this in mind she decided to join Miranda, and work on building their mother-daughter company together. After winning many awards for the fashion industry, Gabriella now puts her full attention into Lash Industry and last year won her first PR award for Lash Events UK annual Super Yacht Lash Conference in London. Gabriella is assistant editor of Lash Inc UK and Creative Director of brand new Fantasy Lash Magazine! She is also co-organiser of Lash Events UK, a company that organises lash events, conferences, competitions: Super Yacht Lash Conference London – The most luxurious lash conference in the UK and Lash After Dark – London’s first ever Live Fantasy Show & Party! 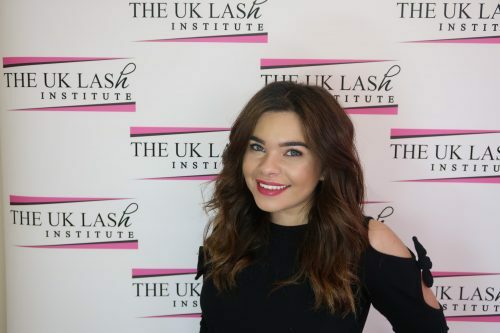 UK Lash Institute as an academy, has grown vastly and have Educators across the UK, Italy, Slovenia, Portugal, Romania & Australia. In the next year, the mother-daughter duo will be introducing new exciting projects and courses into the Academy!